Peter Piper Pizza Halloween Party ~ FREE Candy + Prizes (10/31) 5-8pm! 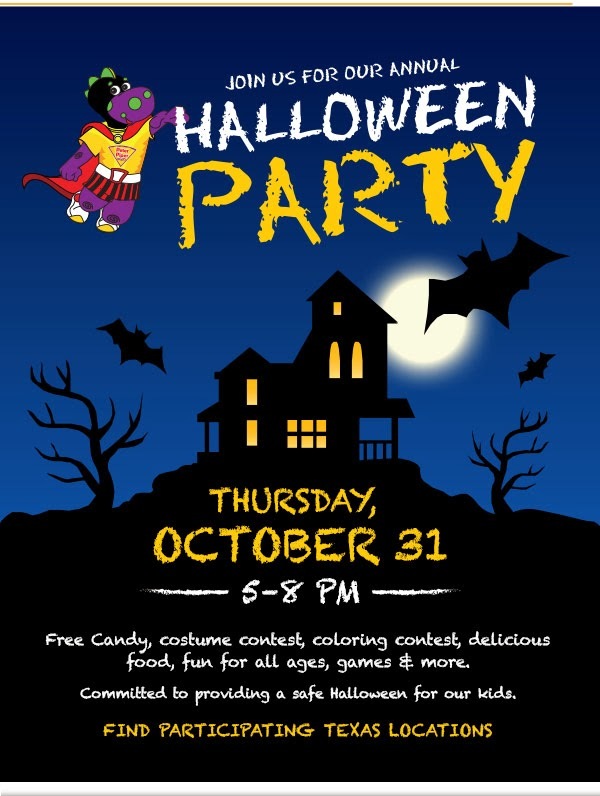 Join Peter Piper Pizza for their Annual Halloween Party on Thursday (10/31) from 5-8pm. Fun activities will include a costume contest, coloring contest, free candy, door prizes, games and much more! Click HERE to find a location near you. Previous postHalf Price Books Dallas ~ Cloak Society Author Signing +Comic Book Activity 10/27! Next postAmazon Countdown to Black Friday Deals Available Now!